5 Ways to Prepare for Your Next Move – What's Nu? If you are going to be moving soon, planning ahead can save you time and money along the way. Plus, there are lot of loose ends associated with moving that can get missed amongst the hussle and bussle of packing. 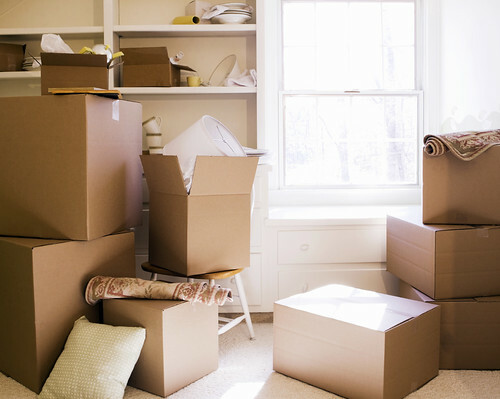 Consider these tips when preparing for your next move. 1) Keep notes and to do lists. Ideally, select a binder or a notebook that you keep all of your moving notes in. Whether you are taking note of bills and mail you want moved to your new address, or services that need to bey cancelled or transferred, or making note of which movers you want to consider, this is a sure way for you to keep everything in order while you prepare to move. 2) Give yourself a budget and track costs. It isn’t easy to stay close to budget with your move, but get estimates of the move costs and then track any costs related to that move as well. one key way to save is in packing material such as boxes. Also, keep in mind costs related to cleaning supplies, travel, and bills that need to be paid off related to the old address. 3) Label boxes and keep “must have soon” items separate. Make sure you label things by room when you pack to make it easier to unpack (and prioritize based on rooms, such as the kitchen or bathroom). Also, keep things in mind that you know you’ll need right away when you get to your new address, such as personal items, toiletries, and other necessities. Pack those in luggage or in a special brightly colored box that is labeled by family member. 4) Label the cords of electronics and photograph them. Take a look at the back of your television, stereo, and any other electronic and take a picture. Why? Because when you have to reassemble everything it makes it so much easier to figure out how it went before. Also, use masking tape to label cords to where they went as well. This also makes it easy to re-assemble your home after the move. 5) Change your address in advance. If you can, change your address in advance (at least a week before hand). That way if you have deliveries or bills coming, it will go to the proper place. Keep this in mind though if you have same day deliveries though. Moving can be a stressful process but there are ways to make this process easier. Keep these tips in mind next time you plan to move!